Thrill killers Nathan Freudenthal Leopold, Jr, 19, and Richard A. Loeb, 18, killed because they could and because they thought that they were too intelligent to be caught. Both were German-Jewish and both believed in the Nietzschean philosophy of “superman”. After carrying out some successful robberies they decided to commit the perfect murder. In May 1924, while they were studying at the University of Chicago, they kidnapped 14-year-old Bobby Franks, hiring a car to transport away the youngster. He was gagged and his skull was bashed in with a heavy chisel four times. Young Bobby had his head held under the water in a swamp culvert at Wolf Lake in Hammond, Indiana and then the two teens poured hydrochloric acid to disfigure Bobby’s face and forced his body into a drainpipe partially hidden by weeds on the Pennsylvania Railroad tracks near 118th Street. After the killing they retired to a restaurant for a hot-dog meal before going to Leopold’s home and drinking whisky. However, Leopold was unable to find his glasses at home and was arrested. Soon after Loeb was taken into custody, and police questioned the two until Loeb broke down and confessed. Leopold’s confession was not long in following, although both claimed that the other had wielded the chisel. Leopold and Loeb went on trial at the Criminal Court of Cook County on 21 July 1924 before Judge John R. Calverly, and Clarence Darrow defended them. 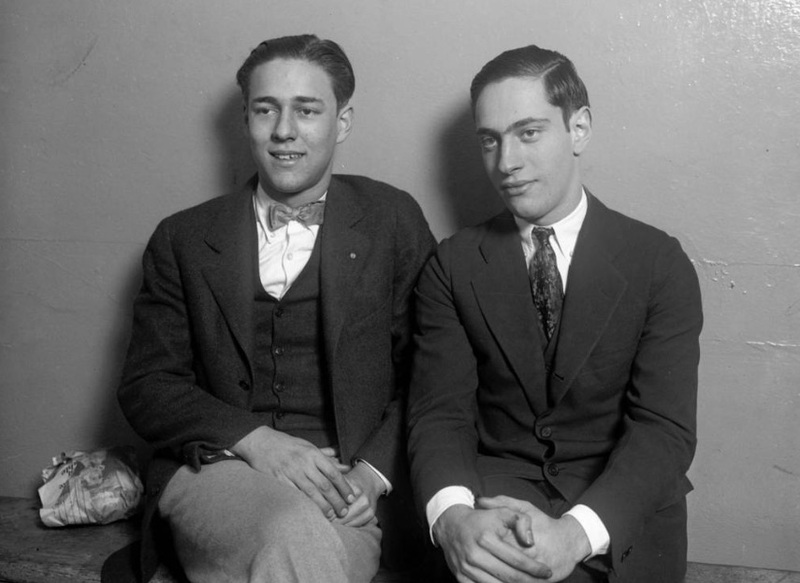 Mr Darrow was unable to say that the Leopold and Loeb were homosexual lovers because of the social mores of the time and for fear of alienating the jury further. Leopold was also a paranoiac while Loeb was schizophrenic. The defence speech lasted for two days and saved his clients from the electric chair. They were both sentenced to life with 99 years for the kidnapping. On 28 January 1936 Loeb’s throat was slashed from behind in the Joliet Prison shower. His murderer Jamesn E. Day claimed that Loeb had sexually assaulted him. Leopold was released from prison in 1958. He died of a diabetes-related heart attack on 29 August 1971.